Once the students have made successful choices that communicate who they are, where they are, and what is happening in their Open scenes, you can continue to deepen the complexity of the work. 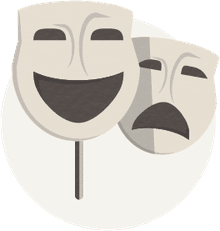 The recommendations below will help you facilitate students’ choices about character, intentions, and other aspects of acting via a brief 8-10 line scene. 1. How old are the characters they are playing? Are they teenagers? Senior citizens? Children? In their 20s? 30s? Rehearse and re-play the scene adding elements (walk, stance, posture, movements, speech patterns, etc.) that communicate age. 2. How do these characters feel about one another? Are they strangers who have just met? Are they happy to be interacting? Is one of them annoyed with the other? Angry? Frightened? Awestruck? Bored? Rehearse and re-play the scene making choices in speech, body, and voice that communicate each character’s attitude towards the other. 3. Where, precisely, are the characters? Increase the awareness of the setting of the Open scene by asking students to begin the scene using only silence and movement for 10-15 seconds before the first line is delivered. Rehearse and re-play the scene adding elements that communicate even more information about the chosen setting. 4. What is the weather? Is it extremely hot or cold outdoors or in the interior setting? Is it raining out? Is it absolutely perfect? Rehearse and re-play the scene adding elements that communicate information about the temperature and/or the weather. 5. In what part of the world do these characters live? Invite students to experiment with different dialects and note how these changes affect the Open scene. Rehearse and re-play the scene keeping the lines the same, but changing the line deliveries to reflect a change in locale. 6. Consider where there are places to insert pauses in the script. Invite students to re-visit the script with the understanding that each line of dialogue does not have to come immediately following the preceding line. Ask them to experiment with pauses and the actions, looks, and movements their characters might do within those pauses. Ask them to note how this deliberate slowing down of line deliveries changes the nature of the scene. Rehearse and re-play the scene keeping the lines the same, but inserting productive pauses. 7. What does each character want? After all the experimenting with settings, characteristics, attitudes, and all, ask students to figure out what their characters want in this Open scene. Why are they in this place interacting with this other character and what ultimately do they want to achieve? A character may want to get away from the other character. A character may want to impress the other character. A character may want to comfort, eject, or join forces with the other character. Ask your students to determine what their characters want in this scene. Rehearse and re-play the scene with each actor keeping in mind what his or her character wants and noting how this affects the overall playing of the scene. Take the time after several pairs have shared their Open scenes to discuss what contributed to the success of a scene. 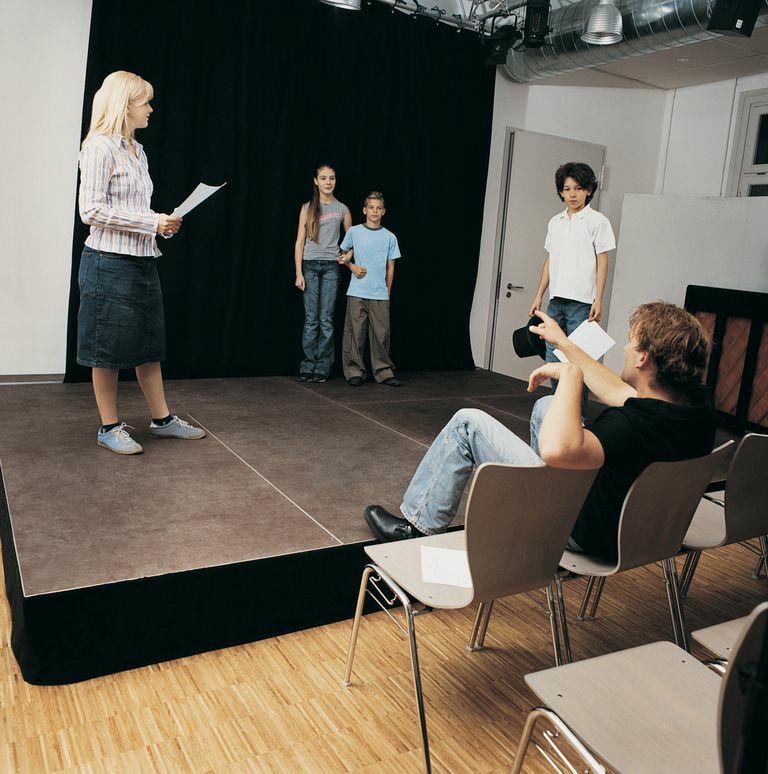 Students who practice working intensely on a brief 8-10 line scene and see the differences that strong and definite acting choices make are primed to carry these understandings and practices into their work on scenes from plays. A: Get out of here. B: I think I’ll stay. A: You are not supposed to be here. A: Are you out of your mind? A: Think this will last long? A: This. It has to end sometime. A: It can’t go on forever, right? B: It can’t go on forever. A: You’re right. It isn’t so bad. B: If you say so. A: I feel better. Thanks. A: Not if you paid me a million dollars. B: Not if you paid me a million dollars. A: I’m going to do it. A: It can’t be as hard as they say. B: What do they say? B: Slight chance of what? A: Would I lie to you? Eight Scenes for Young Females in "The Children's Hour"